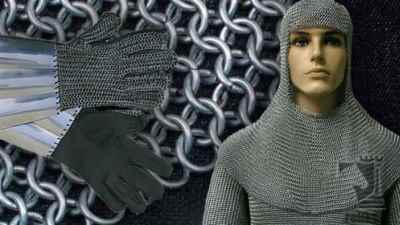 Medieval suits of armor from chain mail, Roman lorica to full Gothic armor. Reliks brings you your �Knight in Shining Armor�. 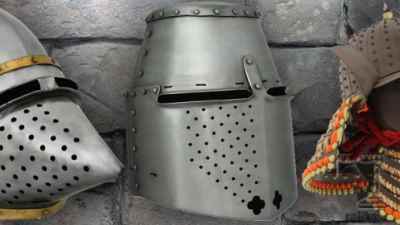 Knights armor comes in many different parts and styles. 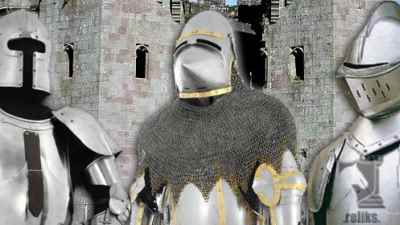 We offer a selection of Roman, Gothic and Medieval full suits of armour, shields and helmets. 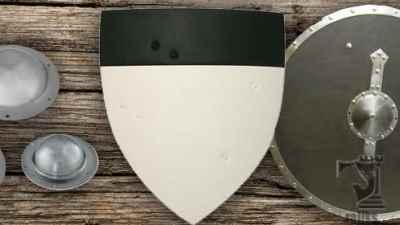 You will also find armor parts available from leather vambraces or parts sold separately for creating your own kit including gauntlets, pauldrons and more. "The WMA and Re-Enactor Grade Crusader Flat Top Helmet." 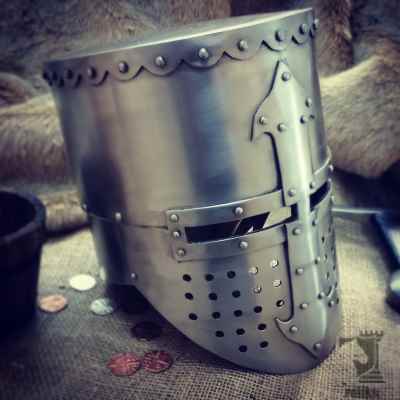 (4) New images were added to the (Crusader Flat Top Helmet) gallery today. "The Houndskull Bascine by GDFB is made for SCA reenactments and Western Martial Arts." 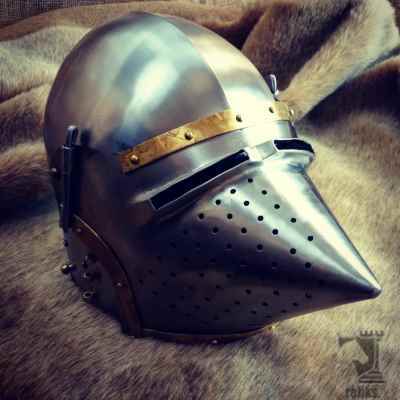 (7) New images were added to the (Houndskull Bascinet Helmet) gallery today. 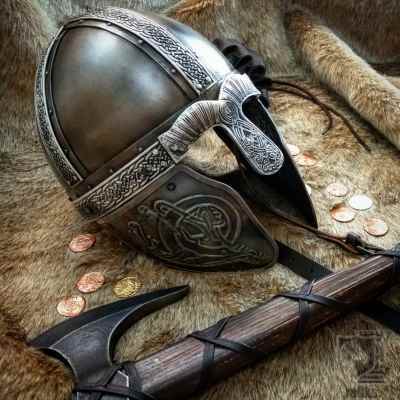 "The embossed Viking Helm is loaded with detail!." (6) New images were added to the (Embossed Viking Helmet) gallery today.